Mission: To equip you to do everything as an outcome of your daily conversations with God, and to train others to do the same. Now Available: MP3s at 40% Off! msthemelist>Bring a group to an upcoming seminar and receive FREE books, free admission to the seminar (maximum value $20), and $125 off your next Christian Leadership University course! Click here to find out how. Many of you have requested it, and we are pleased to offer our teaching series as downloadable MP3s. Now you can easily listen to this life-changing teaching on your iPod, your computer, or create your own audio CDs at a huge discount! Not only are these MP3 audio series priced 40% below the cost of the corresponding CDs, but you also save 100% of the shipping charges, which can be substantial! And no more waiting days or even weeks for delivery, because in most cases youll receive your download link within 24 hours. If you have questions about what MP3s are and how they work, click here to learn more. Would You Contribute Ideas for a book Mark Virkler is hoping to write in 2007? Mark wants to provide a list of simple techniques we can all use that will help us move comfortably in an ongoing operation of the gifts of the Holy Spirit (I Corinthians 12:7-11). The goal is that we could naturally release the power and love of God into our everyday lives. If you have suggestions of effective techniques that you have used which could help us accomplish this task, please send your ideas to [email protected]. Thank you! I have been leading a discussion group as we view the DVDs of How to Hear Gods Voice. 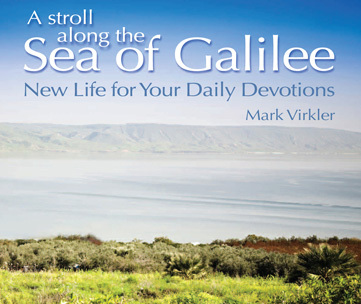 The first time in the series that Mark Virkler suggests asking the Lord how He sees me, I intended to, but felt the bottom of my stomach fall out at the thought. I thought that I had forgiven myself for all the sin God has forgiven, but I was afraid of what He might say. However, as I recognized the enemys hand in this, I started to smile. At that instant, the fear vanished and has not returned. Following is the journaling. I couldnt have done any of this without You, Lord! Lord, I dont feel worthy of these glowing words. I am not the doer of these things. Amen, Abba Lord! Your will be done. Is my idea of writing a story with Tim (my 14-year-old son) ordained by You, O Lord? Is this a good pursuit? You are the most wonderful, most high and only God. Lord, how did people come so far from Your truths? “They established their own paths. They left My Word behind and followed the logic in their minds. They focused on words, ideas, concepts, philosophies and left worship behind. They separated themselves from Me and My love. I became an idea to them. I became a concept. One who is far off and not near. They ran their race without Me and My power and they lost the experience of union with Me. “They began to study Me and My word and try to make sense of it. When they separated themselves from worship and loving Me, their hearts got cold and hard and they lost the understanding and experience of My voice and My power. “I am faithful to every generation. I have that remnant in every generation who reads My Word in order to know Me instead of to know about Me. I reveal Myself to them and give them My power and authority. Often they are rebuked and rejected by others because there is jealousy and they don’t fit the mold of what the church is doing. I do not fit in molds. I Am a free and creative Spirit. I Am the Spirit of God. I Am the Holy Spirit. Tent-Making Activity (Acts 18:1-4) Overcoming Fibromyalgia? The following testimony comes from a woman who was introduced to a powerful superfood through these Tent-Making updates in the CWG Newsletter. Ive had fibromyalgia for around 20 years. I first noticed it when my cat jumped on my lap and the pain was excruciating. I have taken muscle relaxers at night for the pain, and Tylenol at times. I have also tried other nutritional supplements, and although they are wonderful, I saw no change in the way I felt as far as the fibromyalgia. When I saw the testimony of others about fibromyalgia on your website, I thought Id give it a try. I continued taking the other supplements and this new superfood until just recently when I ran out of the other product. I now only take this new superfood. I am still amazed that I havent felt the storms or the fronts coming through the last few days. I used to be like a barometer and could feel a change coming a day ahead of time. Now I dont know it until it happens. I am excited that I can offer this to others who are in pain and need healing. Do you know anyone who is suffering like Billie? Perhaps you are personally facing a health challenge that you havent been able to overcome? Of course, nothing is for certain (except Gods faithfulness! ), and you may not experience the same results that Billie did. But what if you do? Click here now to learn more. A child came home from Sunday School and told his mother that he had learned a new song about a cross-eyed bear named Gladly. It took his mother a while before she realized that the hymn was really Gladly the Cross Id Bear. A new free ebook is now available for downloading from our website. It is titled Passionate Intimacy With God Through Dialogue by Ben C. Lunis, and it is excellent! Click here to download this Microsoft Word file. New translation posted Spread the word to those who could benefit! Special thanks to A. Israel Krupanandam for translating Experiencing God in the Small Group into Hindi. We have received offers from individuals around the world to translate our books into various languages, and we now have free material available on our website in 24 different languages (plus English!). We appreciate each and every person who has given of their time and talent for this work. If you would like to volunteer to translate any of our materials, please contact Mark Virkler. Start a Lamad Encounter Group in your home or church today!